The TKO Pro Line Leather Rope features top quality leather construction, 9 1/2' adjustable rope length, contoured handles with comfortable foam grips and sealed precision ball bearing. This exceptionally strong, flexible and durable skip rope will provide an intense and effective workout. 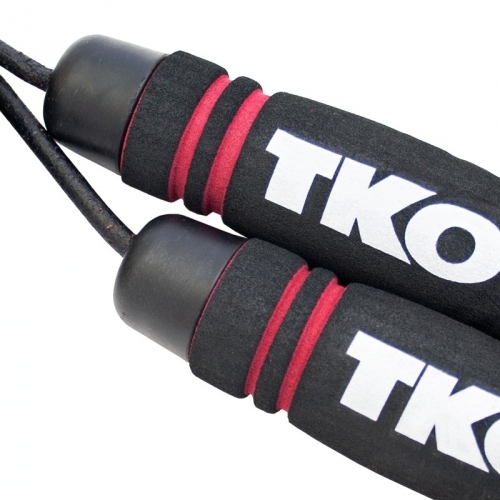 Order your TKO Pro Line Leather Rope (Black) from FitnessZone.com today!